Garmin's FR15 is a Great Running Watch for Beginners. 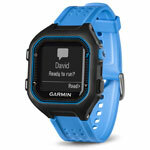 Here's why..
You are at:Home»Garmin»Garmin’s Forerunner 15 is a great running watch for beginners. Here’s why..
Garmin’s Forerunner 15 is a great running watch for beginners. Here’s why.. 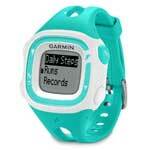 The Garmin Forerunner 15 is an entry level GPS watch for runners, replacing 2012’s Forerunner 10. My review ticks off the key features and explains what they mean… Here we go! So you’ve started jogging a couple of times a week and you kinda like it. That’s great news! Now you’re getting a few runs under your belt, wouldn’t it be nice to know how far you’ve ran each session? By using a GPS watch you can track the miles of your training efforts with ease. While some watches can be a little pricey, the Forerunner 15 positions itself as an entry-level gadget, offering the essentials you need to track a run reliably. Sure, you won’t get to measure your “Vertical Oscillation” as with the upmarket FR 620 (Don’t worry, 99% of runners don’t know what that means either!). But the true benefit of the Forerunner 15 is that it can be bought for a third of the price. Why pay more? If you’re aiming to improve general fitness, perhaps you’ve thought about buying an activity tracker? Big in 2014, these tech wearables measure key fitness metrics including steps taken and calories burnt. The fitness market is bursting with successful activity trackers such as the Nike+ FuelBand SE and the Jawbone UP24 but there’s one downside. None of these devices have built in GPS tracking, not even Garmin’s own Vivofit includes it! Using the Forerunner 15 it’s possible to count your steps throughout the day when you’re mind is busy on everything but exercising. Converting steps into calories, the watch helps you track those other 23 hours of the day when you’re not running. On the lock screen, a progress bar reports how much of your daily step goal you’ve achieved. And should you spend too long inactive on the sofa, the Forerunner 15 can remind you to shake a leg and move for a couple of minutes. So if you want to track your steps and calories beyond your runs, there’s no need to purchase a GPS watch AND activity tracker when you can do it all on the Forerunner 15. The Forerunner 10 can record up to 8 hours worth of GPS activity in a single charge, meaning it should give good coverage for runners who are training for a marathon. You’ll probably only need to charge every week/fortnight depending on how often you run. When the watch is in pedometer mode, the FR 15 can survive for up to 5 weeks! I imagine you can walk pretty far in that time. As an upgrade to the FR10, the Forerunner 15 includes the ability to connect to an optional heart rate monitor. Recording your pulse during a run is a great way to review the intensity of your workout. As you become fitter, you should see your average beats per minute decrease when you’re running on autopilot. On the flip side, a heart rate which is unexpectedly higher than usual could mean you’ve caught a virus and need to take it easy. To measure your heart rate, simply pair up the device with an ANT+ compatible sensor and you’re away. It’s very little fuss for extra insight into your activity. To track your progress, its a great idea to keep a training log of all your activities. Fortunately with Garmin Connect, you don’t need to scribe a journal detailing your expedition. Simply plug the watch into a Mac or PC and your data profile will be updated to the site. Inside, there’s plenty of information for you to “geek out” on, you can see your running route on a map or see your step data in visually engaging ways. With the ability to challenge your friends and virtual badges up for grabs, Garmin Connect gives you motivation on a plate. So whether you’re training for a marathon, doing a little bit of jogging on the side, or only need the basics in a running watch, the Garmin Forerunner 15 is an affordable piece of kit you can rely on.